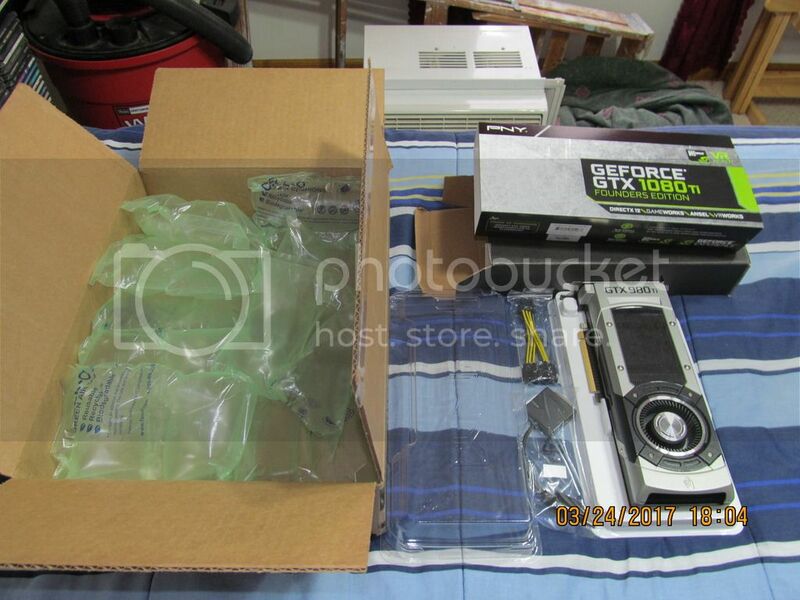 GTX980Ti Announced for $115.00 | Mods Forums - Mods for Far Cry, MGS & more! Sorry! Couldn't resist that. As we don't have a dedicated "For Sale" forum I asked JR, and received permission first! I just upgraded my comp’s GPU to a 1080Ti, so my old PNY GTX 980Ti is FOR SALE. It was purchased new; in my Digital Storm system roughly the second week of November, 2015. This card ran (on my system obviously) Far Cry 4 at Ultra settings (with the DOF and motion blur turned off) in the mid 40s to mids 50s FPS @2k/144Hz. I will ship it to the lower 48 US, APO, FPO, and DPO addresses only. It will ship in the PNY and Newegg boxes my 1080Ti came in (as pictured). OPERATING CONDITIONS: Run at stock clocks until the Ghost Recon Wild Lands open BETA; when I used MSI’s Afterburner utility to OC the core and memory clocks by 200Mhz (250MHz over on the Core, and 1 GHz over on the Memory are the recommended limits for this card). I DID NOT give it any extra voltage or amperage. NOTE: Does not come with any driver disc (the original DS drivers are on the same DS disc as all the other software for my system and are wwaaayyy out of date anyway). If you’re interested please PM me. If we come to a deal; I’ll give you my PayPal address. Upon receipt of payment (and a full name and valid mailing address for you) I’ll ship the rascal within 2 business days (or sooner) of payment via the USPS (one horse village-no UPS or FedEx in town), and will contact you ASAP with shipping/tracking info. Didn't last 4 hours on EBay! w00t!